The British boy band, One Direction, is unquestionably one of the hottest bands in the world. Harry Styles has always been a prominent member of the group. With the exit of Zayn Malik, Styles has become the face of the band. Like Zayn, Harry too is willing to test his luck as a solo performer! Did you know Harry Styles has recently signed a contract with Columbia Records as a solo artist? He's even playing an important role in Christopher Nolan's 2017 epic action thriller movie, Dunkirk. Let's keep Styles's updates aside, and focus on his body art! Harry Styles has numerous tattoos on his body. He is one of those tattoo-obsessed celebrities. Let's have a look at some of the Harry Styles tattoos and get to know what they mean. 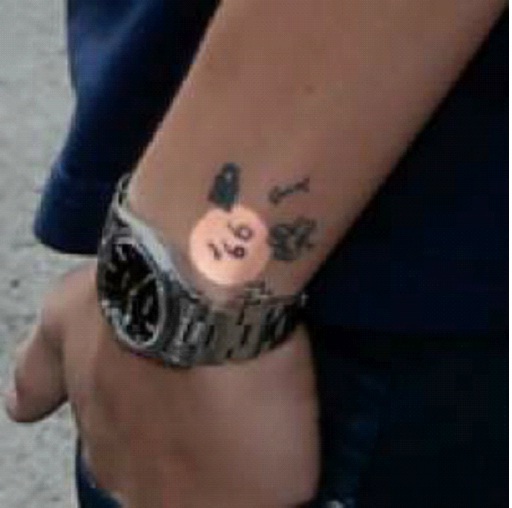 The 99p tattoo on Harry's left wrist looks to be another that his friend tattooed on him. There are a bunch of little tattooes all in the same area. Styles himself seems to regret some of his tattoos, but with the ease of removing them, or covering, them, he just keeps getting more and more.